We generally assume the objective of advertising is to drive sales. But if we can be more specific on what we want consumers to actually do, it can lead to better advertising. Phil Dusenberry shared an insightful campaign on Campbell's Soup during the 1980's, which illustrates this well. 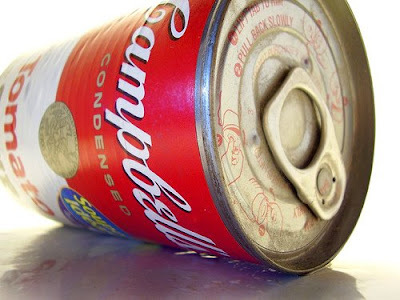 Sales of Campbell's Soup were flat and they couldn't figure out why. Campbell's was the market leader by a fairly massive margin and there was no evidence that other brands were stealing share. So why were they not selling quickly enough? They commissioned some tracking research on how people were using the product and discovered that kitchens across America were full of Campbell's Soup. Consumers buy soup but don't necessarily eat it. They store it. They discovered that soup was seen as the default form of sustenance - "something you ate only when there was nothing else in the cupboard". So the advertising brief was not to persuade consumers to go into stores to buy more, but to get them to eat the soup they had on their kitchen shelves. Get that right, and sales will follow. This translated into the simple, yet successful ad campaign - "Reach for the Campbell's. It's right on your shelf". Advertising should be more about making people do something, not default to an "awareness"-brief just because we didn't invest in understanding which situation we needed to communicate to and what the incentive needed to be.